The well-known Spanish games development company, Red Rake Gaming, has just signed a new collaboration agreement with the games operator Avento. It will thus be rolling out its full range of video bingos and video slot machines at the company´s three casinos: SlotV, Frank Casino and Drift Casino. Among the latest developments by Red Rake Gaming it is worth highlighting the newly released video slot machine “Ryan O´Bryan and the Celtic Fairies”, an incredible Html5 slot machine that has been a real success among all the players that have already had the chance to try it. 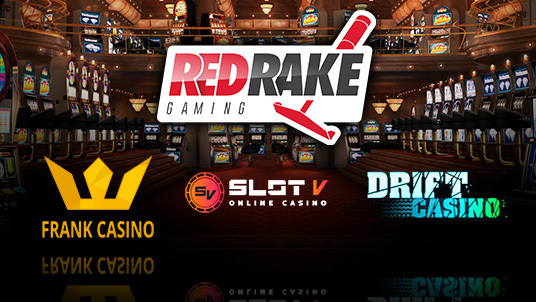 With this new agreement, Red Rake Gaming continues to extend its presence in the Online Casino sector, with its games having an increased presence on the main platforms. Carlos Fernández, Director of Business Development at Red Rake Gaming expressed his satisfaction with this agreement: “We are very satisfied to have signed with Avento as this has enabled us to increase our presence in the Casino world. We hope to continue to extend our games catalogue this year in order to offer the latest new developments to its players”. Gouloud Mercedes Hammoud director of Avento stated regarding the agreement: “Our main goal is to serve the best possible games offering to our customers and our parnership with Red Rake Gaming fits perfectly with our strategy, as they produce casino games of the highest quality, with top notch graphics, animations and clever maths that give the players a great value for their money”.